Came across this ring on Pintarest, (housed in the British Museum) what gem ! 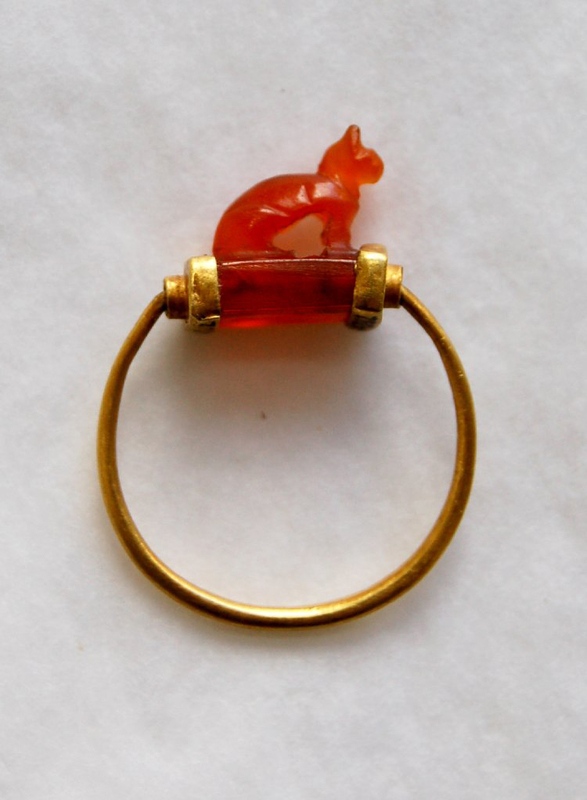 Beautifully carved red cornelian depicting a crouching cat within a gold setting. An ancient egyptian piece dating back to around 1070-712 BCE. Its the period known as the third intermediate age, that lasted around 350 years, starting at the death of Ramses XI. The cat was revered in ancient egypt, the Goddess of cats Bastet, women especially gave offerings to, it was said that if you carried around an amulet of a cat with kittens, that eventually you would have as many children as would appear in your amulet. As cats were sacred to Bastet, cats were mummified along with their owners, and people were put to death if they accidentally killed one ! British army surgeon, administrator and collector, given the title of Pasha by King Farouk in 1942 after giving his home Beit el-Kiridliya to the people of Egypt. 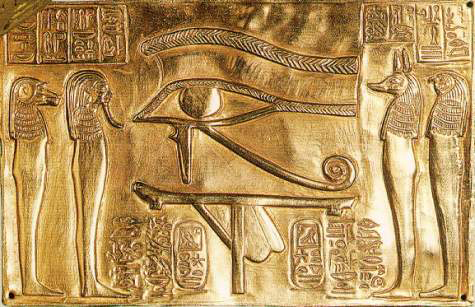 On the underside of the cat there is a carved Wadjet eye or the Eye of Horus, used as a protective amulet, and initially offered to Osirus by Horus. So powerful was its use that it restored him back to life ! these Wadjet eye amulets are found in vast quantities wrapped in the folds of the egyptian mummies. im so sorry, but I’ve seen horus in the sky, 26-12-2013 11 O’clock. He made a travell around the North Pole star and left to the otherside of the universe down below. And my left Eye is the same as the all seeing eye.